Saturday was my little sisters engagement party. So it was the perfect excuse to go out and get a new outfit. I got my polka dot shirt from Primark. It is the first shirt I have bought from the women's section in a while and now I remember why, I found it a little too short in the body on the night and kept constantly pulling it down. 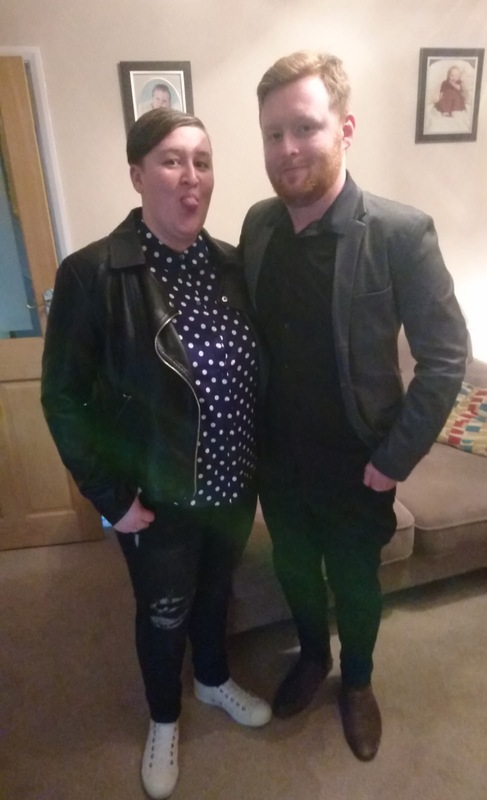 My leather jacket is a Primark bargain from 2016, it only cost £14 and I am in love with it now I actually have things to wear under it not just football shirts. I feel there was a real Primark vibe to the whole outfit as my jeans are also from there. I just love the rip details on these as they aren't fully ripped. To finish off my outfit I went for my ever so comfy all white converse. Liam is wearing a blazer from H&M, River Island shirt, jeans and Chelsea boots. I can't wait to start putting more fahion posts on here and I am even more excited to go on my next shopping trip.